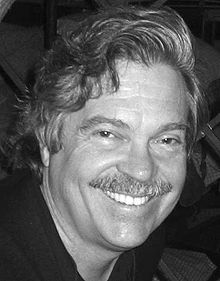 Alan Kay is a pioneering computer scientist known primarily for his work on object-oriented programming and graphical user interfaces. While at Xerox PARC, he led the team that developed Smalltalk, the first purely object-oriented, dynamically typed and reflective programming language. Moreover, the Smalltalk windowing system was a precursor to today’s ubiquitous graphical user interface. Kay is also an accomplished jazz guitarist and classical organist. Video: lecture on past and future paradigms for the development of large-scale software systems. This is the first of a series of posts that explore functional programming in F#. My original intent in this post was to explore how to manage state in a pure functional program by implementing a very simple stack machine in F#. It turns out that this exercise illustrates, in a very short piece of code, several important principles of functional programming in F# and consequently provides a simple, succint general introduction to functional programming in F#. In order to provide a basis for comparison, I first provide an imperative implementation of the stack machine. Then I provide an initial functional implementation of the stack machine and work through three incremental improvements that nicely illustrate some key functional techniques. VSSM is a very simple stack machine for processing lists of arithmetic operations on integers. It consists of a data structure for maintaining its state and a set of operations for performing simple integer arithmetic. Conceptually, the machine’s state is maintained as a simple stack of integers. Its arithmetic operations remove the top two elements from the stack, apply the appropriate arithmetic function to these two elements and place the result on the top of the stack. The machine’s operations are defined in Table 1. Push(x) where x is an integer Pushes x onto the stack. Add Pops value2 from the stack. Pops value1 from the stack. Pushes the sum of value1 and value2 onto the stack. Subtract Pops value2 from the stack. Pops value1 from the stack. Pushes the difference of value1 and value2 onto the stack. Multiply Pops value2 from the stack. Pops value1 from the stack. Pushes the product of value1 and value2 onto the stack. Divide Pops value2 from the stack. Pops value1 from the stack. Pushes the quotient of value1 and value2 onto the stack. Table 2 illustrates how VSSM operates on a simple list of test operations. Push(4) 4 4 is placed on the top of the stack. Push(3) 3,4 3 is placed on the top of the stack. The stack now contains two elements. Subract 1 The top two elements are removed from the stack and subtracted. The result (1) is placed on the top of the stack. Push(1) 1,1 1 is placed on the top of the stack. The stack now contains two elements. Add 2 The top two elements are removed from the stack and added. The result (2) is placed on the top of the stack. Push(5) 5,2 5 is placed on the top of the stack. The stack now contains 2 elements. Multiply 10 The top two elements are removed from the stack and multiplied. The result (10) is placed on the top of the stack. In F#, discriminated unions provide a mechanism for defining data types whose values can be any one of a set of alternative cases. Listing 1, for instance, uses a discriminated union to define a Pet data type consisting of four possible cases: Dog, Cat, Bird and Fish. Discriminated unions are perfect for representing VSSM operations. Listing 2 uses a discriminated union to define an Operation type that has cases for Push, Add, Subtract, Multiply, and Divide. Discriminated union cases can be associated with values of a particular type. For instance, the Push case of Operation is associated with the integer value that the operation places on the machine’s stack. In F#, we define Push with the notation Push of int, and we reference an instance of Push with an expression of the form Push(x) where x is the integer placed on the stack. We will use the list of Operations in Listing 3 as test data for each of the VSSM implementations. Listing 4 contains the complete imperative implementation of VSSM. The machine’s state is maintained with a .Net Stack object, and each of the machine’s operations is implemented using standard stack operations. The function executeOperations uses F# pattern matching to identify the type of each operation. F# pattern matching provides a mechanism for matching against constant values, structural components of values (e.g., head and tail of a list), discriminated union cases and several other types of patterns. The code in Listing 4 uses pattern matching on the case of the Operation discriminated union to identify the type of each operation. A function has side-effects if it modifies the program’s state. Stack.Push and Stack.Pop, used in Listing 14, are examples of functions with side-effects. They modify the Stack object’s state by adding or removing elements. The Stack object is an example of a mutable data structure. Mutable data structures are data structures that can be modified. The avoidance of side-effects is one of the key objectives of functional programming. Advocates of functional programming claim a number of benefits for the absence of side-effects including a greater ease of reading and reasoning about the code and an increased ability to execute parts of a computation in parallel. These benefits are realized in pure functional programming by banning the use of mutable data structures. So the key problem of providing a functional implementation of VSSM is how to represent the state of the machine without appealing to a mutable stack object of some kind. Our functional implementation of VSSM will use F# lists to represent the machine’s state at any point in time. F# lists are ordered series of elements of the same data type. You can use a semicolon-delimited series of elements enclosed in square brackets to define a list. For instance, the following expression represents a list of 5 integers. It is conventional to refer to the first element of the list as the head of the list and the list of all elements except the first as the tail of the list. Among the List functions provided by F# are List.head and List.tail which return respectively the head and tail of a list. The following are some examples that illustrate the use of these functions. The implementation of processOperation in Listing 6 will use these functions for accessing components of the list representing the VSSM’s state. The :: operator can also be used to construct a list h::t where h is the head of the list and t is its tail. For instance, 1::[3; 5; 9; 11] represents the same list as [1; 3; 5; 9; 11]. This notation is commonly used for creating lists by prepending a new item to an existing list. It can also be used in patterns to match the head and tail of a list. The function, processOperation, defined in Listing 6 below, executes a single VSSM operation. Its parameters are a list that represents the current state of the VSSM and an operation. It returns a list that represents the state of the VSSM after the operation is executed. All of the operations are implemented using the standard list functions described above. The Push(x) operation uses the :: operator to create a new list with x at its head. The other operations are implemented by using List.head(state) and List.head(List.tail(state)) to access the top two elements. The resulting state is then constructed by using the :: operator to prepend the result of the appropriate arithmetic operation to List.tail(List.tail(state)). Four of the five operation cases in listing 6 are implemented with code that is identical except for the arithmetic operator. In F#, we can factor this code into a separate function that takes the arithmetic function as a parameter. applyBinaryOp, defined in Listing 7 below, applies the arithmetic function passed as its second argument to the VSSM state list passed as its first argument and returns the resulting state list. It is called by processOperation with the appropriate arithmetic function for each type of operation. We can simplify applyBinaryOp further by using a list pattern in the parameter list. The pattern (op2::op1::remainder) allows us to bind the individual parts of the VSSM state list to the identifiers: op1, op2 and remainder. op2 will be bound to the first element, op1 will be bound to the second element, and remainder will be bound to the remainder of the list. This allows us to eliminate the calls to List.head and List.tail in the function’s body. recursively passes the state returned by processOperation to itself so that it is available for the next operation. In this way, the VSSM machine state is maintained in a parameter of a recursive function call. This function, processOperations, is implemented in Listing 9.
processOperations takes two parameters: a list that represents the current program state and a list of Operations. The function performs a list pattern match against the list of Operations. If the list is not empty, the function calls processOperation to apply the function at the head of the list to the current state. Then it calls itself with the returned state and the tail of the Operations list. This continues until it reaches the end of the Operations list and the empty list () is passed as the second parameter. This matches the first case and the function simply returns the final state as it is. The recursion unwinds without further modification to the machine state. In this case, List.fold takes the processOperation function, the empty list as the initial VSSM state, and a list of Operations to perform. It executes the list of operations and accumulates the VSSM’s state in exactly the same manner as processOperations in Listing 9. Listing 11 contains the complete implementation of the final version in the functional style. The following are useful introductory F# texts. I found Smith’s book to be especially clear and useful. Petricek’s book is useful for people who want to also explore functional programming in C#.